Well, October has come and gone- and aside from a freak snowstorm for the northeast and a bumper crop of sale Halloween candy, that means the end of Art Advocado's month-long series on creative placemaking consortium ArtPlace. We looked at the urban and the rural, from Detroit to South Dakota to New York City. 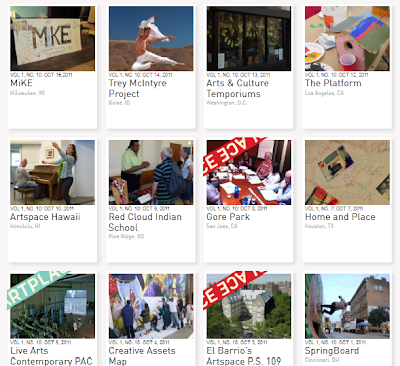 There are so many terrifically diverse ArtPlace projects, I wish we could have explored more - from the public-art based projects in Indianapolis and Wilson, NC to artist housing in Hawaii, to the entire category of projects that ArtPlace calls "magic moments." Perhaps these will resurface down the road. But since hindsight is 20/20, let's wrap up with a few points that demonstrate why ArtPlace has such strong potential for effective change in such diverse circumstances. Read on for three takeaways from ArtPlace director Carol Coletta. Not only does this example already speak to the huge potential for success in ArtPlace's model but it also confirms an argument arts advocates have long made in favor of government arts funding- it's so highly leveraged because of matching grants that the return on investment is astronomical. For example, according to Americans for the Arts, NEA dollars leverage, on average, at least seven dollars for every dollar in a grant - a terrific return on investment for federal money. "I think what makes creative placemaking and ArtPlace so important is that it's not an add-on. It's not a nice to-do. It really becomes an essential part of a community's economic success." Here's another quote from Coletta that speaks to why ArtPlace is unusually exciting in the realm of arts funding and economic development. Like STEAM, ArtPlace is not a well intended, nice initiative that might help create a few jobs here or there, or bring a few more dollars to a severely impoverished community. Because it leverages funds and reinforces pre-existing projects to maximize impact, and because it is based on proven economic methods (Coletta is the former director of CEOs for Cities- she knows her stuff) there is real potential for change. Considering their funding as essential to a community is not just a financial investment but a commitment to success as well. Finally, Coletta also told PhilanTopic that if ArtPlace is widely successful it could help encourage more funding of arts and culture across the board. "We believe that if we can demonstrate that investing in the arts in this way actually does contribute to vibrancy and to changing the trajectory of a place, that will result in a whole lot more money for arts and culture." Of course it's too early to tell, but PS109's early success bodes well for ArtPlace's ability to generate more dollars, and more culture, in its grantee communities. The idea that it could attract more arts funding too is an exciting bonus! All of this is a long way of stating the obvious - I believe in ArtPlace's potential to change places for the better, and I can't wait to see what they can accomplish down the line, in New York, Detroit, South Dakota, and beyond! For further reading check out the terrific PhilanTopic interview with Coletta as well as her post on the NEA's Art Works blog. 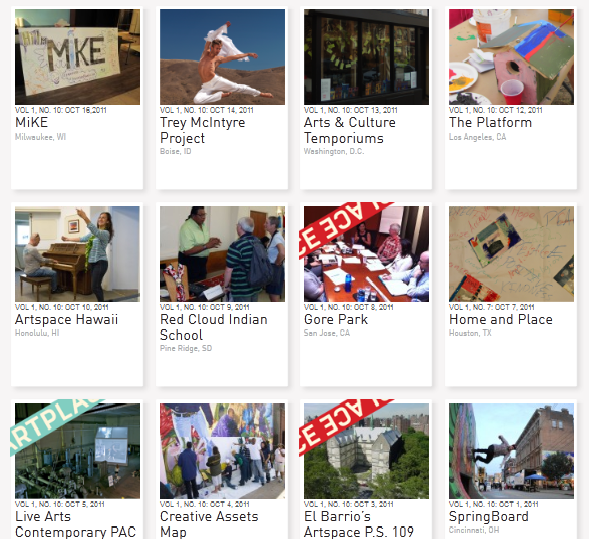 Do you have any further questions about ArtPlace- or projects you'd like to see explored down the road? Let me know in the comments!